Advice for your organisation on meeting the organisational knowledge and knowledge management requirements of ISO 9001:2015. Editors note: This article was revised on 3 February 2017 and again on 29 January 2019 to reflect developments in international standards with regard to knowledge management. 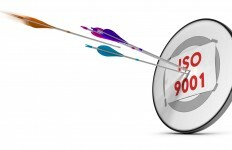 The international standard ISO 9001 Quality Management Systems is described as the world’s leading quality management standard by its publisher, the International Organization for Standardization (ISO). In seeking to meet these new organisational knowledge requirements, it’s vitally important that proven practices and processes are used, or valuable resources will be wasted and desired outcomes not achieved. 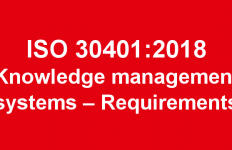 A potential way for your organisation to meet the organisational knowledge requirements of ISO 9001:2015 is through the use of the new international knowledge management (KM) standard, ISO 30401:2018 Knowledge management systems – Requirements, which was published in November 2018. Like ISO 9001:2015, ISO 30401:2018 is a management systems standard (MSS), and so uses the same high level structure as ISO 9001:2015 and a number of other ISO MSS including the well-known ISO 14001:2015 Environmental management systems – Requirements with guidance for use. As with ISO 9001:2015 and ISO 14001:2015, ISO 30401:2018 is also a Type A MSS, meaning that it contains requirements against which an organization can claim conformance. The use of the same high level structure across ISO management system standards means that organisations can operate a single or integrated management system to meet the requirements of two or more management system standards simultaneously. So while adopting ISO 30401 would require an additional commitment of resources, this could be minimised by integrating ISO 9001:2015 and ISO 30401:2018 into the same management system. 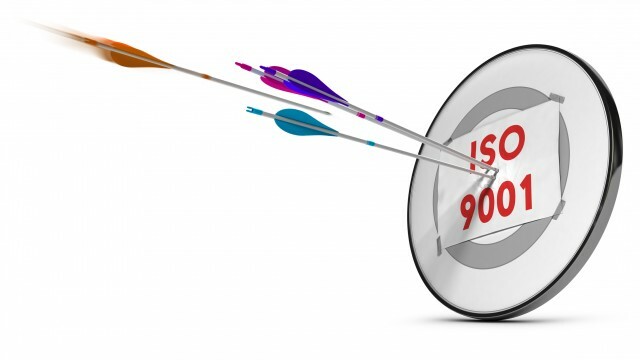 The RealKM Magazine article Knowledge management and ISO 9001:2015 also provides useful guidance on meeting the organisational knowledge requirements of ISO 9001:2015. Following RealKM on Twitter, LinkedIn, and Facebook. Talking about Objective Evidence, any organisation has its own unique way of accumulating its Historical database of lessons learnt which suffice the requirement, but question lies with the auditors to verify the effective usage of those ideas by the organisation. How it promotes the knowledge to its employees. Always ending up with a Process change, Training requirements or a gap in the documentation. It is also inappropriate to promote knowledge on obsolete process (System discontinued) in order to suit current trend.